Pre Order ‘Crack-Up’ now for the chance to win a signed vinyl test pressing. If you have already purchased your copy of ‘Crack-Up’ through the official Fleet Foxes store, you will automatically be entered into the contest. Available in the UK only - full terms and conditions here, no purchase necessary click here for more details. UK only. 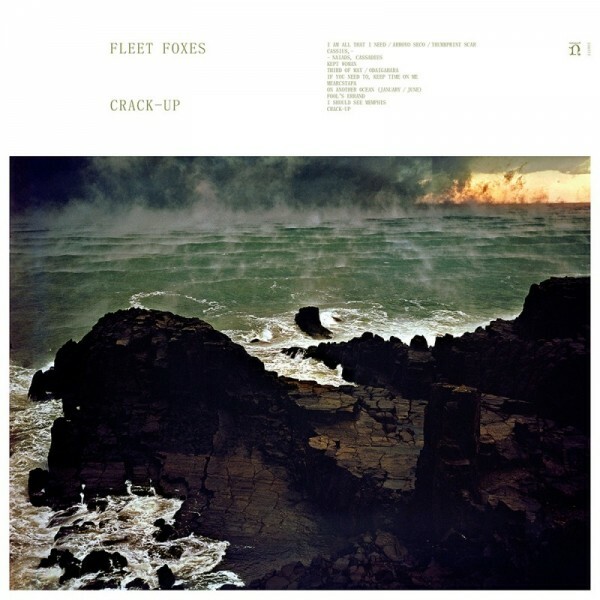 Crack-Up, Fleet Foxes' long-awaited and highly anticipated third album, comprises eleven songs, all written by Robin Pecknold. The album was co-produced by Pecknold and Skyler Skjelset, his longtime bandmate, collaborator, and childhood friend. Crack-Up comes six years after the release of Helplessness Blues and nearly a decade since the band's self-titled debut. Pre-order to download the album track "Third of May / Ōdaigahara" now and get an exclusive, limited-edition print featuring artwork by Hiroshi Hamaya.